Late on Monday the oil world was shocked to learn that Ecuador planned on exceeding its OPEC production quota, publicly breaking from the supply cuts agreed to in November 2016 and extended in May 2017. As Bloomberg reported, Ecuador announced it wouldn’t attempt to cut production by 26,000 bpd, citing its need for greater revenue. Under the terms of the OPEC deal, Ecuador was to keep production to 522,000 bpd. 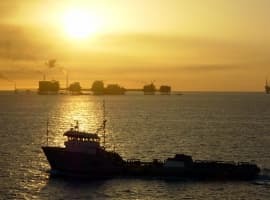 The public defection has raised the possibility of a more general split within OPEC, between those willing to continue the cuts and those who feel keeping production down is no longer worth the effort. It’s possible that Ecuador’s move could be followed by other OPEC members. The group’s solidarity could shatter, potentially upsetting the recent lift in prices, which have increased from the mid-$40s to nearly $50. When the OPEC production cuts were announced, speculation began market watchers regarding the rate of compliance (i.e. how much cheating there would be), and the question of who would break first. Several countries, including Iran, Nigeria and Libya were essentially exempt from cuts: each country argued it was recovering production due to sanctions/internal instability. For months, OPEC compliance was at 100 percent, thanks largely to Saudi Arabia cutting more than was necessary. But in June that rate slipped to 92 percent, as the group pumped more and Riyadh stopped shouldering so much of the burden. Baghdad is also gearing up for an independence referendum in the northern autonomous region of Kurdistan, which is oil-rich; the Kurdish independent government has disputed the division of the country’s oil revenues and is using the independence referendum to put pressure on Baghdad for a more equitable split of the profits. Iran, OPEC’s third-largest member, announced plans last week to boost production beyond the OPEC production cut limit in March 2018, when cuts are set to expire. While Iran was allowed to produce more under the plan, it promised to cap its production near 3.9 million bpd. The country has largely stuck to that figure but is eager to pump more, particularly after signing a deal with Total SA, its first major international contract since international sanctions were dropped in January 2016. In its monthly market report, the IEA reported that OPEC compliance had dipped due to increased output from Libya and Nigeria, which are both exempt from cuts. Earlier this year the return of Libyan production, kept down for years due the country’s internal instability, together with US shale essentially nullified the effects of the OPEC production cuts, sending prices tumbling in February. Libya is currently at a four-year high, with output nearing 1 million bpd. If OPEC members start to see individual countries breaking away from the planned cuts, solidarity among the group could fracture. Then again, Ecuador is OPEC’s third-smallest producer and its decision affects a miniscule amount of the group’s production. The country’s oil minister has argued that there is an “unwritten agreement” in OPEC regarding Ecuador’s flexibility, and cites the country’s economic needs and the growing deficit for its inability to meet the OPEC quota. The news made barely a ripple in markets, which opened high Tuesday morning and saw WTI nearing $47 and Brent close to $50 on positive demand news. Concerns that Ecuador’s break will set off a contagion of cheating among OPEC members had yet to register with traders, who are back in a bullish mindset after a bearish June. While the IEA figures pointed to lower OPEC compliance, the group also estimated that demand would surge faster than expected, expanding by 1.5 million bpd this year. 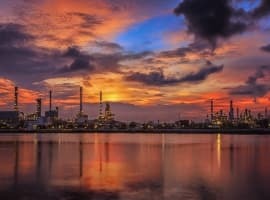 The market was warmed by news that Chinese refinery demand in June, the second-strongest ever recorded, given further significance due to the continual decline in Chinese domestic output. The mood when the Ecuador announcement was made was bullish, therefore, negating the effect of the country’s decision to break with OPEC. It’s possible that fundamentals beyond the actions of a single minor OPEC member will encourage OPEC compliance and keep member states in line. 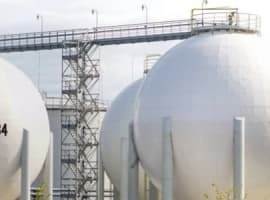 However, improving demand estimates could also encourage members like Iran and Iraq to pump more, in the belief that prices will rise no matter what. Should compliance dip in the wake of the Ecuador decision, the current bullish mood could see-saw back down, along with prices. It’ll take some time to measure how OPEC registers the Ecuador decision, with the July 22 meeting of OPEC and non-OPEC states in St. Petersburg taking on fresh significance.